Not too long ago, I have posted an article about making a strobe from a disposable camera. I was soon after that I called out to the great community of DIY photographers to make a disposable ringlight from such disposable camera strobes. And why not – they are cheap, available and do not require too much power. In my mind there were three main challenges in making this project work: 1. Chaining the camera flash units; 2. Triggering the ringflash remotely; and 3. Powering the individual flash units. Dave Ajax (Divet) from the DIYP Instructables group has risen to the challenge. Dave was also kind enough to allow me to post the full tutorial on this site, keeping the great tradition on DIYP Instructable projects like the Time Lapse Photography project, the Ingenious Camera Stabilizer and the Muslin Backdrop project. Build a disposable camera ring flash. Disposable cameras are discarded after the film has been removed. Photo labs often have boxes of them under the counter, waiting to be recycled. If you ask nicely, you can often get more than enough to experiment with. Try to get at least six for this project, all of the same type. OK, I guess the pan in the title is well expected and not that original, but I really could not resist. If you are an aspiring photographer, a pro gonna be, an original thinker who wants to start a photography business, read on. Chase Jarvis, the photographer behind all the photography-2.0 community-driven share-thy-knowledge buzz is offering a free sit to ASMP‘s SB2 event. Or in English American Society of Media Photographer Strictly Business 2 event). Chase will happily provide you with transportation (If you are an Overseas like I am, transportation is from point of landing in US – anybody said New York? ), accommodation and a free ticket to ASMP Strictly Business 3 days event. In this event, you will hear lectures from top notch photographer and sharpen your photography business skill in areas like pricing your art, Freelancing, Marketing ad more (full agenda here). To top whip cream with fudge, you’ll get to hangout, share ideas and interact with a bunch of talented out-reaching photographers. What do you need to do to WIN? Head over to Chase’s blog and (1) nominate yourself. You have 100 words for it so be concise, witty and charming. (2) Place a link to your photoblog / Gallery / site. (3) Cross your fingers and hope to get blessed. PS – if you don’t win the freebie, you can always register like the rest of us ordinary people – here. Make sure you don’t miss out on the next article – Register to the RSS feed or the newsletter. Nick Wheeler the photographer who brought you the DIY Strip Light and the Floor Lit Table Top Studio is playing with card board boxes again. Answering to strobist’s ringflash call, Nick created a simple softbox ringflash thingy that uses one strobe to create an awesome ring light effect. 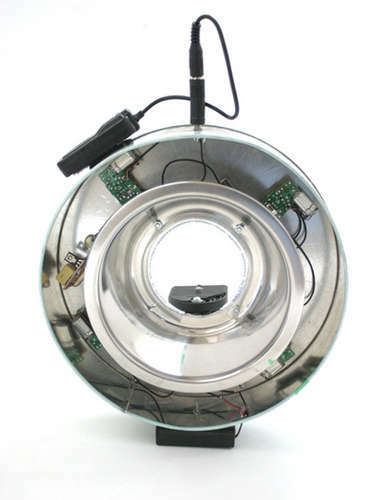 (If you really like ringlights, take a look at the huge ringlight collection). If you did not visit Nick’s stream lately, you should definitely head over there. Nick has some new shots from the previous projects (strip light and floor lit studio) with great setup shots. I tell you, sometimes I don’t know whether to stare at the pictures or drool over the setup shots. Nick has done a great job for this tutorial, packing it is great images to explain every little step. You can see how thinking of every aspect of the construction gives professional results. I got a few mails and comments about the issue of getting closer to the pictures to make the picture fill a wider part of the frame. closer affect the “family of angles” thing? Every once in a while comes that moment when you decide to get a new lens. For me this moment arrived about three weeks ago, when I decided that I deserve a nice photography treat my wife finally said yes, you can buy what ever you want, just stop talking about lenses all the time. (If you just want to learn what my winning lens is, go here and look at the second lens). Again, a busy week for me here in the DIYP world. 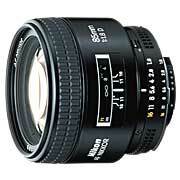 After budget approval from the boss, it looks like I am getting me a brand new Nikkor – the 85mm f/1.8. I would like to take a minute to thanks everyone for helping me come to a decision. Choosing money wasters is always hard (and fun). But more good things came to me in the last weeks, things fun and worth sharing. If you want to keep track of my likings you can join my friends on Stumble Upon. Kerry from L7 foto is engaged in a project that has vast implication on any dude that got the boss’s approval on turning the house garage into a home studio (and leaving the car outside to sunbath). This post is somewhere along the middle of his work. Check out the first two parts, and stay tuned for more. Ever since that great smoke photo buzz about a year ago everybody wanna take smoking shots. Shaun from Gonsap wrote a great tutorial about the setup and lighting he used for taking such smoked shots. Dollar Store Gem: $1 Kick Light Stand! Why are white lenses … white ? Have you ever wondered why some of Cannon’s lenses are white? Antoine from ADIDAP is trying to cope with this interesting question. Inevitably he also tries to cope with the fact that thieves like bright whit lenses. This has been around for a while, but still a great article. David Tejada is giving a review of the Matthews RoadRags Kit. All and all it looks like a great portable system. I bet there a DIY solution somewhere that can do just the same. Get Your Photos Critiqued at Photoaxe.com! If you area an aspiring photographer in the start of the road, I suggest that you get as many critiques as you can. Trek earth, Trek lens, flickr and photo.net are just some of the places to post and get critiqued. If you like to go front and center, you can drop a note with an image to Lau from photoaxe. You’ll feature his weekly critique review. Brian Auer, Neil Creek, Andrew Gibson, Andreas Manessinger, Cody Redmon, Joseph Szymanski and David Ziser created this great photoblog. This place for fine art photography lovers features pictures from all seven photographers. Being the fine photographers that they are, you in for a photo-treat. The Global Photographer A.K.A Matthew Monroe has assembled a great collection of twilight photography tips. The main tip is "Get a nice Cold Beer". Oh, yea he also tells you that the best time to shoot a just a bit after the sun has set. The Light Cage is an ingenious application. It simulates a lighting cage (Yes – this is how your models feel when you shoot them) where all the "trivial" lighting positions hold a spot pointed at a model’s torso. As you shift from on spot to another, you can see the influence of this light on the model. This is a great tool if you are on the beginning of your journey as a portrait photographer and it really helps to understand lighting. The Trashcanulator 2000 is a great DIY hack to get a light tent kinda lighting. Using nothing but – um… – a trash can. Nick Wheeler is becoming a dangerous guy to leave your boxes by. It looks like whenever a box is around, nick DIYs it into a lighting modifier. This is what I like about Nick, he is never afraid to experiment, be it a mission impossible image or a floor lit lighting setup, Nicks investments in setups pays up big time. I heartedly recommend to check Nick’s flickr stream for more inspiration. This is also my message to you. Go out and try something new. I bet that four times out of five you, like me, will end up with just another glued box. But the fifth time is the one that makes all the difference. This is the time where you put what you have learned by ruining the other four boxes into use and build a really nice piece of studio equipment and saving money for more lenses. I said it before, and I’ll say it again. The reason why bloggin’ about DIY and Photography makes me a happy person it because I get to tap into a great stream of creativity fro mother great photographers out there. Take Thomas Schwenger for example. After getting some from the Strobist and DIY community Thomas now gives back one of the lightest and easiest lighting kits for portables strobes. With a single page snoot, a mini GOBO and a filter holder, Thomas wins the DIYP kit of the year award. (Of course, like a being a warded a knighthood, there mostly honor in the title, no dough at all. I would like to buy a good portrait lens and I am torn by two great Nikon options – the Nikkor 60mm f/2.8 and the Nikkor 85mm f/1.8. I did a full web tour and saw the sample shots, and heard just a bit about user experience. Both Lenses look razor sharp and both are well built, light weight and compact enough. What I would to ask is for your own experience with any of those lenses. Are they comfortable for portrait work? Do you have warm feeling to any of the two? Has anyone tried the new 60mm f/2.8 ED? It was hard to find comments about this lens and most comments I got were on the older f/2.8 non ED version of this lens. Anyone got some hand on with the new ED version? My main concern is about the 60mm (equivalent to 90 on my Nikon D70) working distance. I find the Nikkor 50mm of mine just a bit too short for most of my portrait work. I am not such a keen macro photographer either do the macro feature is a nice bonus but not a main drive. Currently the first runner up. This one look like it has a good working distance of 85mm (127mm equivalent on my D70). And I really love the bokeh. If some uses this lens in the studio and can share about working with this lens in terms of working distance it will be of great help. Any one uses this lens on a regular basis? I’d love to hear some first hand thoughts. If anyone has both lenses and can tell which is his/hers favorite and why, I’ll be forever in their debt. Oh, If you thin I should include a third lens to consider please SHOUT it in the comments.